I’m writing this post from the confines of the semi-amiable skies at 30,000 Feet on Delta Flight (DL) 1823 from Detroit (DTW) to Seattle (SEA). And service has been over-the-top… well, for the most part. This is the 2nd flight I’ve been on today, and I’ve noticed that the service has been quite friendly, almost in a weird way. I watched passengers disembarking in Detroit be told “You have a nice and wonderful day.” And on my flight to Seattle, during boarding passengers were greeted with “Happy Tuesday to you!” Maybe a little weird, but don’t get me wrong, it makes sense. After recent United’s fiascos (LeggingGate and Dragnet) and American’s Whack-A-Mom ordeal, the decision to make a loud and clear that an airline cares about their customers, is a FANTASTIC idea. All that said, shortly after takeoff I witnessed something that had me offended for the sake of another passenger. The flight attendant took dinner orders from Back to Front since it was an odd flight (as opposed to Front to Back for an even flight, Hence Front Even/Back Odd or FEBO). When finishing by taking a meal order from a passenger in the row in front row, there was only one meal option. After the passenger voiced slight displeasure, the flight attendant uttered literally the WORST statement I’ve ever heard voiced to a customer in an airline’s premium cabin: “You could BUY an item from the back. To say that bothers me is an understatement, it literally SICKENS THE HECK out of me. Look, I think offering an item in place of the only remaining option is a creative solution. But to offer a premium cabin customer, who I suspect is an elite frequent flier and therefore one of an airlines most important customers is absolutely disgraceful. Suggesting to a customer seated in a premium cabin that they can hand over even more money for something, doesn’t attract more customers, and demands apology. Delta, if you want to distinguish yourself from two of your biggest domestic competitors, I would strongly recommend changing course. IMMEDIATELY. At the time of writing this post, the US Dollar continues to be competitive against the Euro (€1 Euro = $1.05 US Dollars, or nearly 1:1) and fairly strong around the world. While there is some speculation the the greenback (US Dollar) may begin to plummet a little bit, 2017 will be a great (and relatively cheap) time to travel abroad, especially Canada, Europe, and South Africa. While we would love to forecast mistake fares for the coming year, human error can be awfully unpredictable. That said, back in April 2016, American Airlines announced that they expected airfares to continue to be relatively low into 2017, and so do we. A helpful website for seeking out low fares is The Flight Deal, and can be filtered by origin, destination, and even airline. Keep in mind that these fares may have restrictions that apply, such as departure dates and minimum stay requirements. If your plans are not as flexible, it may be beneficial to search using Online Travel Agencies (OTA) such as Priceline or Kayak (our favorite) then compare to the carrier’s own website. 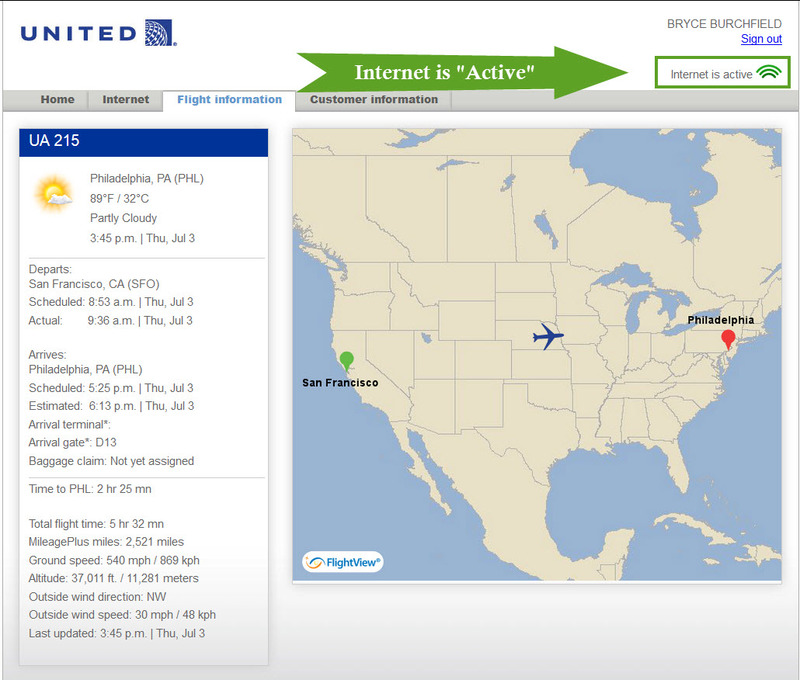 A carrier’s own website may often have the same or even the cheapest fares, and booking through them can make for a more seamless experience, not to mention allowing for some elite status perks. With the uptick in the economy, more and more folks are flying these days. In fact, the Federal Aviation Administration (FAA) expects the total number of people flying commercially on U.S. airlines to increase to 1.2 Billion by 2032. Furthermore, the number of people flying worldwide is anticipated to reach 7 Billion in the same time frame. In the short term, this will surely make for higher capacity on airplanes and more delays. In the last year Air Canada has made some intriguing partnerships, with Virgin Australia, and as well as now Cathay Pacific. This seems to be a recurring trend, and it wouldn’t be surprising to see the trend continue into 2017. Another recent, albeit unfortunate trend has been frequent flier program devaluations. We haven’t seen a major one to a domestic carrier since American Airlines did so back in March 2016, but another such devaluation should be on the radar of savy travelers everywhere. Keep in mind this means that if anything your miles and points depreciate (or even expire), and don’t appreciate in value. The domestic airline business is very a copycapt business, and it’s almost comical (if not sad) how United has copied Delta’s frequent flier program changes, especially when it comes to requirements to earn/maintain elite frequent flier status as well as changes to earning miles on flights. It wouldn’t surprise us in the least to see more of the same in the coming year, especially from American Airlines. Back to the positive side of things, airlines are increasingly revamping their airline interiors, or featuring even more exotic products on entirely new aircraft, such as what Singapore Airlines and Delta Air Lines plan to do with the Airbus A350. It’s even more exciting to envision the future of aviation thanks to CNN, starting with 2017. DISCLOSURE NOTE: At the time of writing this post, I am not acting as a representative of any credit card issuer, and do not receive any referral benefits or bonuses for the credit cards that I mention. Emirates First Class is highly regarded the world over, especially on the A380. It is after all, Jennifer Aniston‘s favorite airline. Like it or not, it’s hard to top an on-board experience that includes a private suite with doors, fully stocked on-board bar, and the ability to take a shower 6 miles up in the air. Never mind dreaming about it any more. And I’m not just talking about Google’s street view of an entire Emirates A380. No, there’s a great way that you can experience Emirates First Class for as little as ~$2,200 one-way. Via One Mile at a Time, Emirates has published some CHEAP long-haul First Class fares from Maputo, Mozambique, connecting via Johannesburg. After playing around with the dates a little bit I found out this deal gets even better for travel to the East Coast! Emirates First Class to Washington for ~$2,200!!! It just goes to show, you can settle for what others tell you, or do your own research and find even better results! Personally, I would rather pay $2,200 than $5,000+ to experience all that is Emirates First Class, including complimentary limo transfers. This is especially a good deal if you area considering travel to Southern Africa and open to booking a one-way outbound segment as well. It should be noted that a visa is required for US Citizens visiting Mozambique, even if you are only transiting via the airport. Believe it or not, I’m about to hit the big 3-0 come December. Your 20s are supposed to be the most intense and fun decade of your life, and I am sad I will soon be leaving them behind. Fortunately, I will have (or am on pace to) accomplish at at least one goal by the time I am 30–Having traveled across 6 continents. While it is certainly the most substantial goal I am on pace to meet, the thought of making it a reality only occurred within the last year or two. It certainly helps that including North America, I have already been to 4 continents (South America, Asia, and Europe). Which leaves Australia (well, until recently!) and South Africa (later in the year)!! My travels seem to be a sequence of haphazard planning that manifest themselves at very opportune moments. Last fall, as serendipity would have it, Qantas First Class award seats became quite readily available using partner miles, which is incredibly rare. They say that which is hardest to achieve is most desirable. Well, I suppose because Qantas First Class seemed so impossible and beyond me, I had long hoped to fly Qantas First Class since first getting into the miles and points game, whilst admiring One Mile at a Time’s Qantas First Class trip Report way back in 2011. As seems to be my norm with increasing regularity, I booked this trip backwards, starting with the return flight. I ended up with a bit of a self-fulfilling prophecy in routing through Tokyo. I badly wanted to fly Singapore Suites on the Airbus A380 from Los Angeles (LAX) to Tokyo (NRT), but even with a little flexibility for my departure dates, my only option was to waitlist flights on this route. I didn’t want to be left out in the cold and without a way to get to Australia, so I booked a back-up award ticket using up 110,000 Delta miles I had stockpiled for Delta One Business Class from Portland to Tokyo. More than I wanted to pay, but originally it was just a back-up option. A couple of weeks from departure, I noticed the Saver Level of 70,000 miles was available on the same date and flight, so after calling up Delta and kindly reminding them of my Gold Medallion status, I was able to get 40,000 miles re-deposited as a “one-time” courtesy, as well as tack on the Pasco (PSC) to Portland (PDX) flight on the same award ticket for no extra charge. While my Singapore Suites waitlist would eventually clear couple of days before departure, I ran into issues confirming my flight (BUMMER!) as my account was audited. Delta has a pesky policy that does not allow redeposited mileage on award tickets cancelled within 72 hours of departure, so I decided to stick it out with Delta. Either way, I had intended to connect through Tokyo anyway, so a couple of months before departure I checked Japan Airlines’s (JAL’s) website for options. Within just a few minutes I found a First Class award ticket in JAL’s Boeing 777 Sky Suite, then called up American Airlines and successfully booked the ticket for 60,000 American Airlines miles. Honestly, it surprises me how effortless booking some award flights can be, as a quick and easy search showed me that I actually had my pick of multiple departure days–in First Class. Then again, there probably isn’t a backlogged list of folks calling up American to redeem airlines for JAL First Class between Tokyo and Sydney. Anyway, my Tokyo to Sydney flight was scheduled such that I could connect from my Delta flight overnight as a buffer (besides, I’ve never heard anyone complain about “having” to visit Tokyo), and then then fly out to Sydney the following evening. Added to that, I flew All Nippon Airways a few years back, so the chance to fly the “other Japanese carrier” was intriguing personally. For the inter-Australia flights, for the most part I was able to use a combination of British Airways and American miles to get me where I wanted to go. Added to that, I have a bad habit of booking at the last minute, so all of the outbound award options were gone. The easiest and quickest option was to book a direct Virgin Australia flight from Sydney to Ayers Rock. In the end, based on opportunity, timing, and the fact that this was my only revenue (non-frequent flier miles) flight on the entire trip, I justified ~$700 for Virgin Australia Business Class to Ayers Rock. 1) I arrived in Australia, and accustomed to my first taste of Australia in the comfort of Sydney. 2) I will admit that while flying is quick and easy, there is a certain beauty to driving (or in my case riding) cross-country, as it allows you to see and experience all the scenery you so easily take for granted up in the air. I ended up booking a bus transfer to get me from Ayers Rock to Alice Springs, which allowed me to see some sights and enjoy the scenery along the way. Thus, I considered such a ride as much a “sight” as any of the tours or attractions I saw on my entire trip! **All miles and points are not considered equal. Addition of them is done only for high-level summary purposes only. I am currently in transit to Las Vegas for the Freddie Awards as well as fulfilling my everlasting thirst for all things travel, miles and points by attending the Frequent Traveler University (FTU) Signature Event. If you see me feel free to say hi, and how I haven’t been blogging enough lately. “Team Pasco – Thank you for flying Delta. This seat has been sanitized just for you. My first impression was “Since when did Captain Denny start working for Delta? Look, I know it’s small (but genuine) token of appreciation, but it’s the small things that can make the biggest of differences when there is more than enough hassle in travel. Especially when one is headed to the awards ceremony that highlights the best of the customer experience in the travel and loyalty industry! Just mention the term “airplane food” many and you’re likely to be met with repulsed response. But depending on rout, airline, and last but not least class of service, your mileage may vary. Which is why I found a New York Times article on frequent fliers opting for their own fresh meals very interesting. On occasion I have followed suit, including bringing my own dry cereal and a banana through security with me, then purchasing milk before boarding my flight. I have also frequented the Outback Cincinnati Airport by calling in my steak ahead of time when connecting there. What foods do you bring with you when you travel? 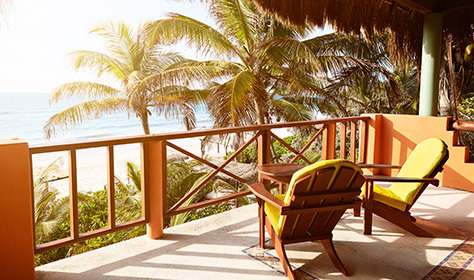 Now through September 15, 2015 you can earn a one-time $100 statement credit from American Express for hotel bookings made through the American Express (AMEX) Travel Portal. This is a pretty good offer, but unfortunately Fine Hotels & Resorts are excluded. Also, due to the fact that booking must be made through AMEX Travel, you will may not be eligible to earn points and/or elite stay credit on your stay, but your mileage may vary. And I wouldn’t necessarily go out of your way to take advantage of this offer. Some rates I have seen are more expensive than what hotel websites are offering, so take that into consideration. Registration is required beforehand and must be completed no later than August 31, 2015. You must be an American Express cardmember to book travel through American Express. Offer does not include Fine Hotels & Resorts hotels. The full terms and conditions can be found here. I was traveling recently to New York for Flyertalk’s infamous Brooklyn Reality Tour and had a flight attendant who was truly exceptional. Thomas was the flight attendant in charge of First Class, but frankly I don’t think it would have made a difference in service, as he was truly attentive, friendly while maintaining a professional level of courtesy, and had a great sense of humor. Personality-wise he reminds me of a combination of the ever-affable Randy Peterson and Captain Denny, for those who have the fortune to meet both of those individuals. The first thing I noticed of Thomas was that he went person to person through First Class asking very politely if we would like something to drink prior to takeoff. Sure, any First Class flight attendant should do this, but he took drink orders one at a time and came across very personally. As boarding continued, from the front of the plane I heard “This is your first flight, come this way!” I watched, in awe, as two young kids were shown around the cockpit and met another flight attendant. “How many other times” I thought, “in this post-9/11 security-crazed world, would other pilots and flight attendants be willing to do such a thing for kids? During the course of the flight snacks were distributed (the flight time was just over an hour) whenever I had trash he was quick to nice and offer to take it me. Thomas’s service was quite exemplary, and he deserve to be recognized for his service. I rang up United today, and was reminded the importance of patience and being nice. Last year, my family and I had travel nearly interrupted when United abruptly cancelled the outbound flight of our trip. Due to some quick thinking on my part (I find it’s always helpful to call on your cell phone line rather than wait with the masses) I got us re-routed on Delta, and we actually arrived sooner than originally expected. Flash forward today. It’s nearly been a year, and I realize I still need to request original flow mileage credit for a family member if they are to earn miles from the ticket. Yikes! I called up United, and provided the information, but only after an extensive wait on the phone. I should note that I could have easily grown impatient with the agent. Rather, I kept my calm. I was informed that while mileage the return could be credited, because the outbound was on another carrier, they could not provide mileage credit for that portion of the trip. Which is of course, WRONG information. But, no need to be defensive. I maintained my cool, and simply asked “O, really, why is that?” It would have been easy to get defensive and upset, but by responding patiently and playing dumb a little, I was able to disarm the agent. She said she would check something, then came back a minute later and retracted what she had said—the miles could in fact be credit! I know folks who would become quickly irate, but in doing so you make no friends for yourself—you make enemies. So do yourself and everyone a favor today if they tell you something you don’t want to hear: Be Nice. They just might go the extra mile for you! I am currently off to Philadelphia, the the City of Brotherly Love, for the July 4th holiday weekend. Honestly, the aircraft that I am on (an Airbus A319) is probably about 20 years old. 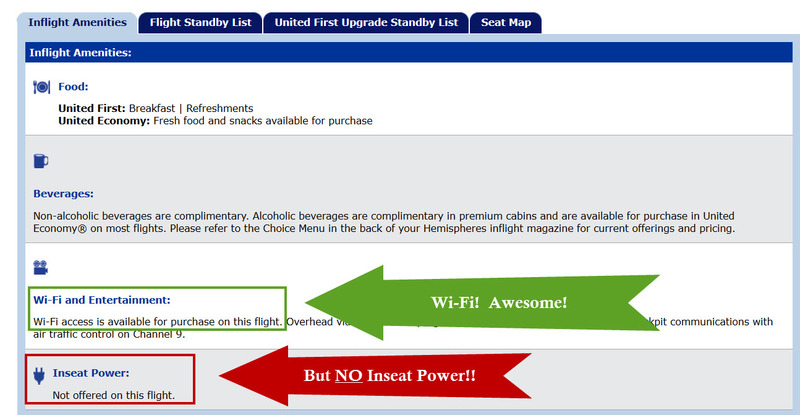 And just because an aircraft is retrofitted with in-flight wi-fi does not mean that it has in-flight power. But, if you plan on using one or electronic devices on a 5-1/2 flight, you would certainly expect being able to power said devices using wi-fi. UnitedFail.